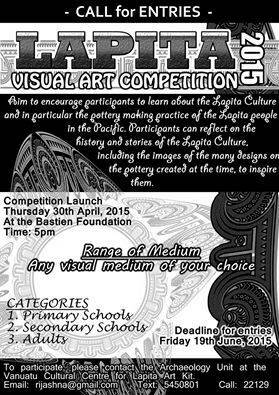 The Vanuatu Cultural Centre is organizing an art competition to coincide with the 8th Lapita Conference that will be held in Port Vila from the 6th to the 10th of July 2015. 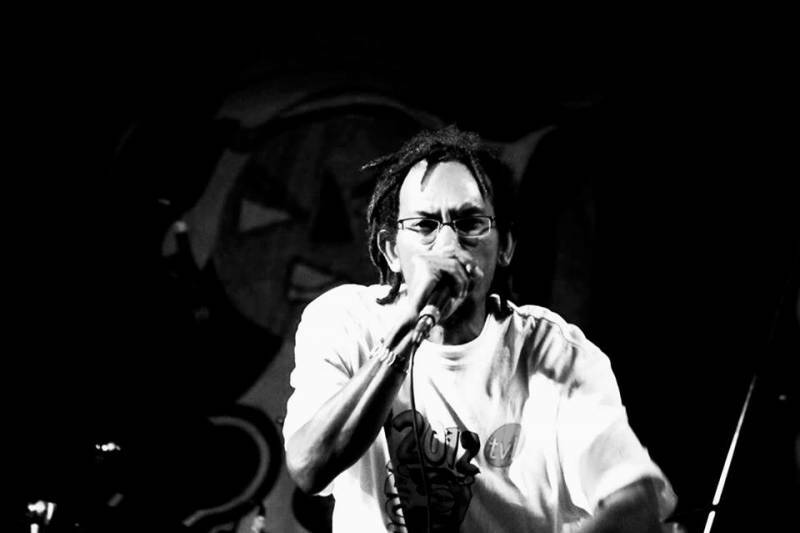 The competition is open to different categories : primary, secondary schools and adults. The main objective of The Lapita Visual Art Competition is to encourage participants to learn about the Lapita Culture and in particular the pottery making practice of the Lapita people in the Pacific. This art competition is not limited to any form of medium but has to include something about Lapita, whether it be designs from the pots, artifacts or any other aspect of the Lapita culture. Deadlines for entries Friday 19th june 2015!